It’s really frustrated when you open your desktop computer and find some important files get lost. This can be as a result of not having your computer adequately protected and your computer gets infected with a virus that deletes all your data. When this happens, you’ll need desktop data recovery software that helps you to recover all your lost data on your desktop computer. In this article, we provide you with information on one of the most effective desktop data recovery software available in the market, and how to use it to recover your lost data. Part 2. How to Increase Chances of Successful Data Recovery? Some so claimed very good desktop data recovery software are available in the market, which to choose? 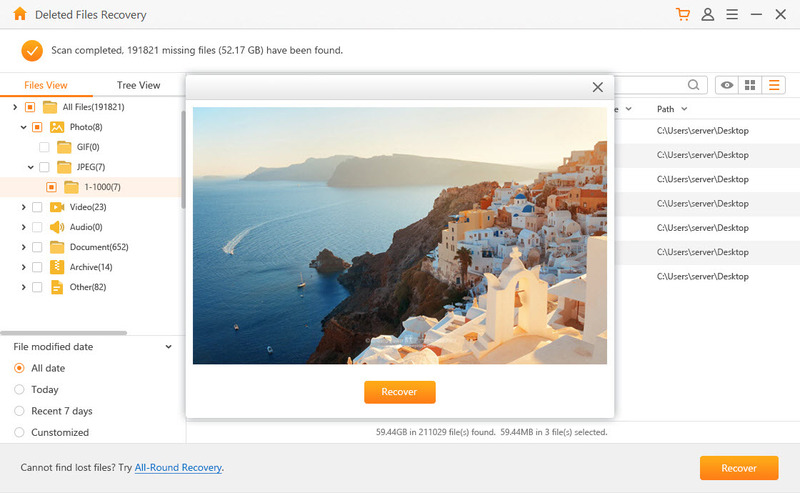 AnyRecover, a desktop data recovery software which uses the advanced technology to help you find out and recover over 1000 of your lost, deleted, corrupted or formatted files from Windows 10/8/8.1/7/XP storage. It can safely recover lost data from any device without compromising the original data. 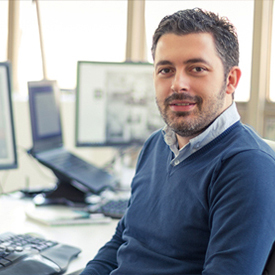 It can quickly recover lost or deleted data from your device’s internal or external storages. It can recover data with over 1000 formats including emails, audio files, videos, archives, documents, images, pictures etc. It has an easy to use software interface that will quickly retrieve your lost or deleted data. Step 1: Download and run AnyRecover, then select the mode "Deleted Files Recovery". Step 2: Select the target location you want to start finding your lost data. It could be from your Hard disk, external or removable devices then click Next. 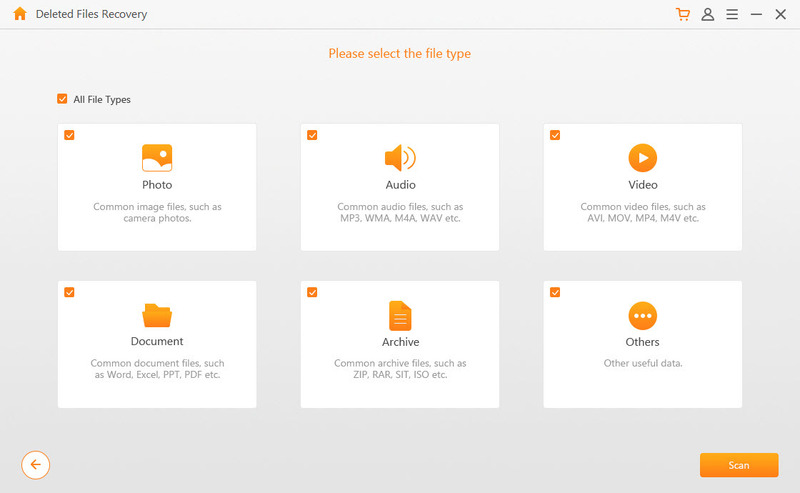 Step 3: Select the type of file from your audio, video, documents, photos etc. Then click Scan to start the process. Step 4: AnyRecover will do a quick scan of the selected location and display the results of the deleted files. Step 5: When it finishes scanning, a list of deleted files will be displayed and you can preview before recovery. Step 6: Check the files you want to retrieve then click Recover to get back the data. If your lost files are not showed, try All-round Recovery mode for a deeper scan. 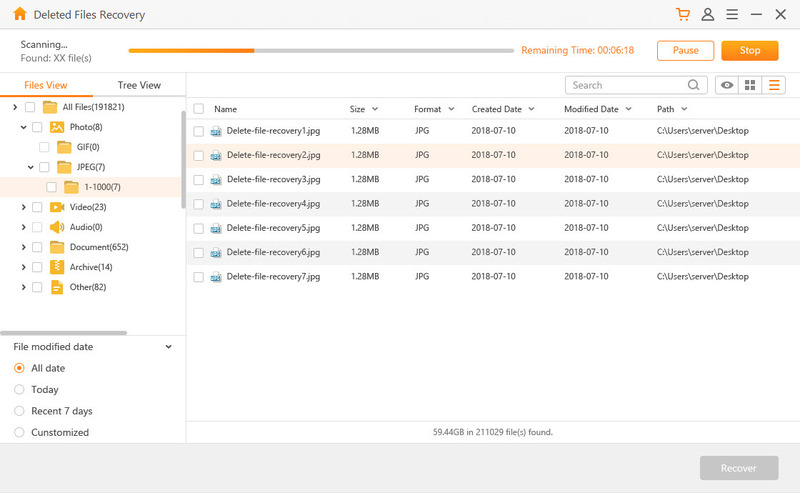 External Device Recovery: AnyRecover will recover all your lost or deleted files from your external storage like the hard drive or external disk. 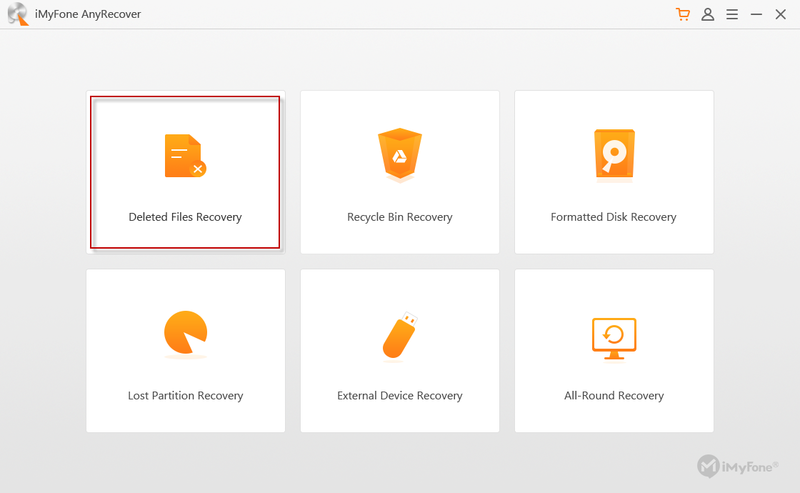 Formatted Disk Recovery: It can quickly recover all files from your hard drive using the Formatted disk recovery mode. Lost Partition Recovery: You can select the Lost partition recovery mode to recover your lost partition files. It is not easy to find this feature in recovery tools. Recycle Bin Recovery: Some of the important files you accidentally deleted end up in the recycle bin. You can use AnyRecover to find them back. All-Round recovery: The All-round recovery mode in AnyRecover will recover all files and data that you lost from intentional or unintentional actions. How to Increase Data Recovery Success Rate ? If you accidentally delete data, the data can still be recovered from your device as long as there is no further data damage. The following are some of the things you need to avoid so that you can have a successful desktop data recovery. Avoid formatting or reformatting the disk which can at times affect the data recovery results. Formatting removes important information that is needed in successfully recovering the lost data. Do not try to rebuild partition table as it can cause further damage to the data if the save partition table command is executed when the correct partition has not been identified. You can only use this function if you lose a partition. Avoid editing files or viewing any files or folders from the disk that had the lost data as it will likely create temporary files that will cause more damage. Do not create new files or store any more data on the disk.